As a clumsy child, Allie never participated in sports and never viewed herself as an "athletic" person. It wasn’t until her early twenties that she decided she wanted to become more active and stronger. She practiced Muay Thai for six years and loved the intensity and adrenaline it offered her but the impact it caused her body was not sustainable. She then found her way to her yoga mat in 2012. In 2016, she completed her 200-hour yoga certification through Yoga Alliance and has been teaching Vinyasa and Power Yoga since. In early 2017, she was introduced to Pilates through the Pilates V internship program and started teaching in May 2017. She is extremely passionate about wellness and fitness and approaches both in a holistic manner. When designing her classes, Allie likes to draw inspiration from both Yoga and Pilates and believes they are great complements to one another. She loves connecting with her students by creating fun and intelligently-sequenced classes that cultivate empowerment, confidence, and self-awareness. Although now a teacher, Allie is first and foremost a student. 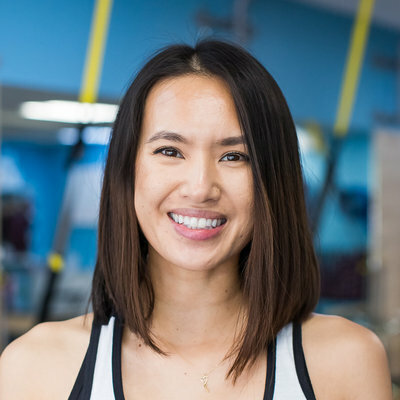 After completing her Pilates Certification, she has plans to pursue her 500-hour yoga certification, as well as TRX and Barre down the line. She also enjoys attending workshops on a regular basis to keep her knowledge-base up to date. When she’s not on a reformer or a yoga mat, you can find her in her kitchen baking vegan goods and brewing Kombucha. She is a big fan of the outdoors and enjoys hiking, snowboarding, and camping. She also loves traveling and attending concerts.